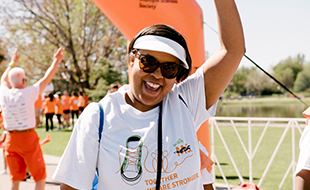 Find all the information you need to enjoy an unforgettable day at Walk MS with your friends, family and co-workers. MS can make you feel alone. But when you participate at Walk MS,you realize you are far from alone. There are so many people, right alongside you, who are experiencing this disease. When you team up to end MS, you become an unstoppable force. Whether you create or join a team, you'll make memories that last a lifetime. Start rallying those around you for an incredible experience. Fundraising fuels the groundbreaking research and life-changing services those affected by MS need to live their best lives. 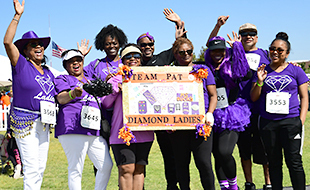 We have resources and tips to make fundraising easy—check them out!